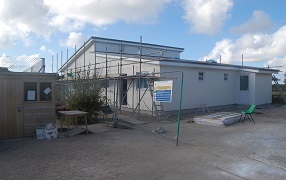 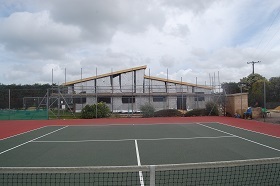 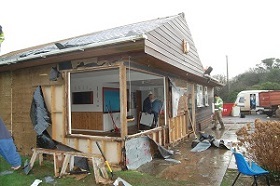 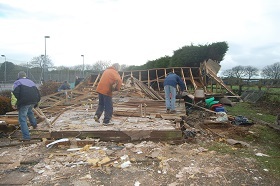 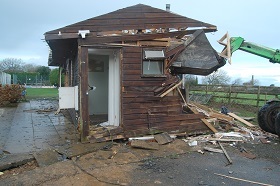 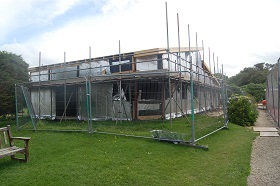 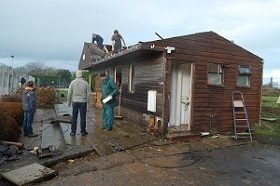 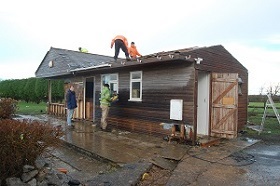 On a cold and damp day at the end of December many members came together, forsaking their mince pies, to dismantle the old clubhouse to make room for the new build. 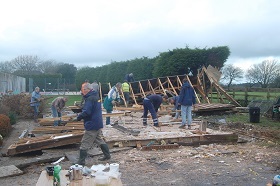 The team spirit was high and with many hands and a tractor making 'lightish' work, as dusk fell the clubhouse was no more. 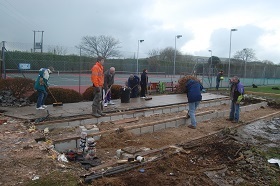 For some it was a sad day but for all the first step towards creating something exciting for the members and the community as a whole. 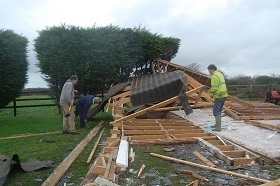 And then came the rain....and gales.... then more rain. 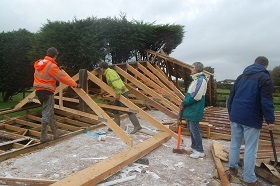 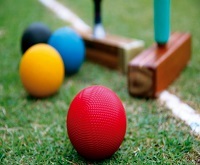 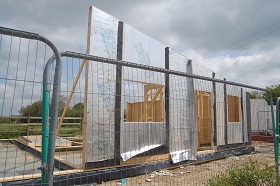 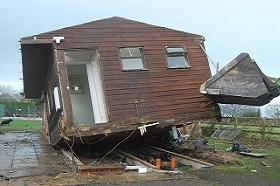 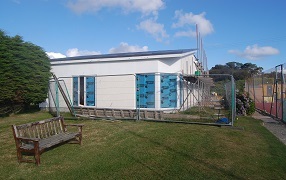 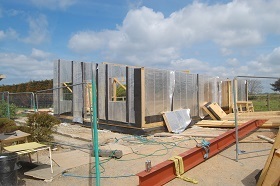 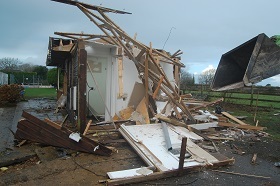 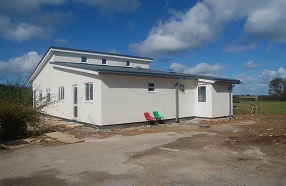 With the wettest winter since records began, building work was delayed for weeks. 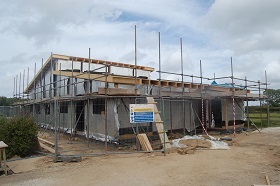 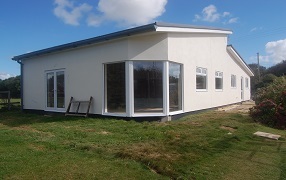 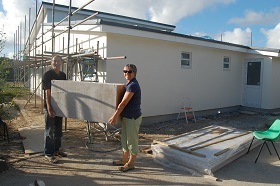 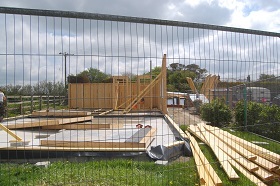 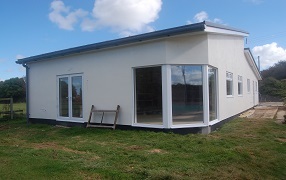 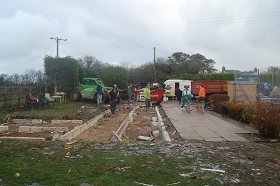 However the foundations were eventually laid and building has now started to progress.